The Robotics & Automation exhibition is taking place 11th & 12th October 2017 at Arena MK, Milton Keynes. 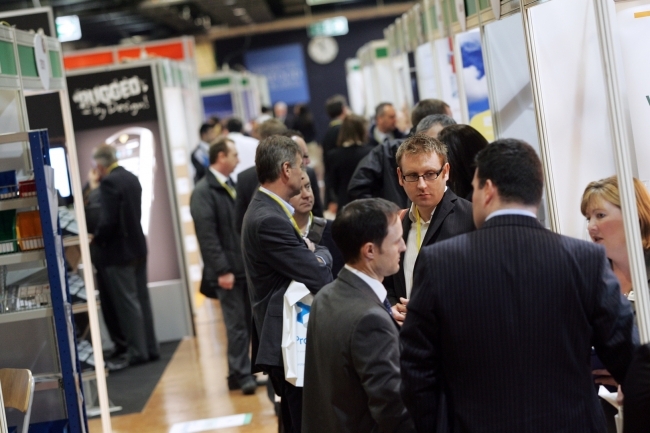 As well as being packed with companies waiting to transform visitors’ operations, the exhibition also offers free compelling seminar sessions packed with tailored insight to help attendees discover what the latest solutions could do for their business. L3 MacDonald Humfrey Automation are running a session “Raising the game: removing the barriers of traditional automation”. Using their expertise and experience of the automotive sector they present the case for collaborative automation of your facility as a function for improved operational efficiencies, higher productivity and investment affordability. BÖWE SYSTEC will be running a session on the automation journey in material handling. The seminar will be a look into automation and why we should embrace these technologies in the material handling world. From simple mechanised conveyor systems through to sophisticated sortation solutions, when and how should the journey begin? Tharsus will explore what the progressive journey to fully autonomous robotics looks like, and how they navigate their clients to delivering commercial optimum. Tim Ensor, will discuss the benefits of sharing a vision of the future whilst building machines today that pay-back now, and how this has a greater impact on operational productivity and the bottom line. Fronius will show visitors how their unique Fronius battery charging technology can guarantee to reduce forklift fleet energy costs (by up to 30%). Why they are experts in monitoring and controlling energy and how their automated welding systems can provide optimum welding results with the highest possible return on investment – whatever the application. Lucas will be covering how digital automation and dynamic work optimisation can dramatically reduce labour costs in the DC and meets increased demand for speedy shipping among consumers. During the presentation, they highlight how DWO utilising features such as automated pick paths and smart location-based batching of orders, meets the speedy order fulfilment expectations of consumers while significantly increasing operational efficiencies. See the full comprehensive seminar programme by registering for free at www.roboticsandautomation.co.uk. The exhibition is taking place at Arena MK which is a fantastic, modern venue easily accessible by both car and train with free parking.